For the past five years, “FungoMan” has collected dust and cobwebs in the back corner of the Padres’ covered batting cage at their Spring Training facility. But this spring, the automated machine that directs fly balls to outfielders has finally seen the light of day—and so, too, have the Padres, who are raving about the machine. 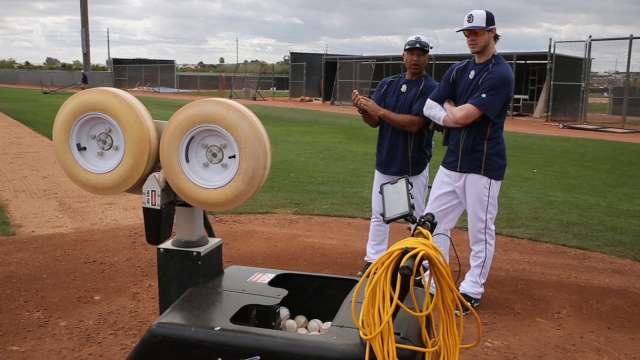 The “FungoMan,” which resembles a pitching machine on wheels, has been used during the first few weeks of camp to spin balls of varying direction and distance to outfielders, replacing the job once done by coaches with a fungo bat. Don’t feel bad for the coaches, though.